Choice Natural Black Angus Sirloin Steaks, and our secret recipe Pork Bratwurst that I think would win award after award if we'd enter them into contests! People just love the taste of our brats versus all the other ones out there. I know we've mixed a lot of things into the original brat including Sauerkraut, Chili Cheese, Philly Cheese, etc., but The Original is on sale this week (along with the Chili Cheese). 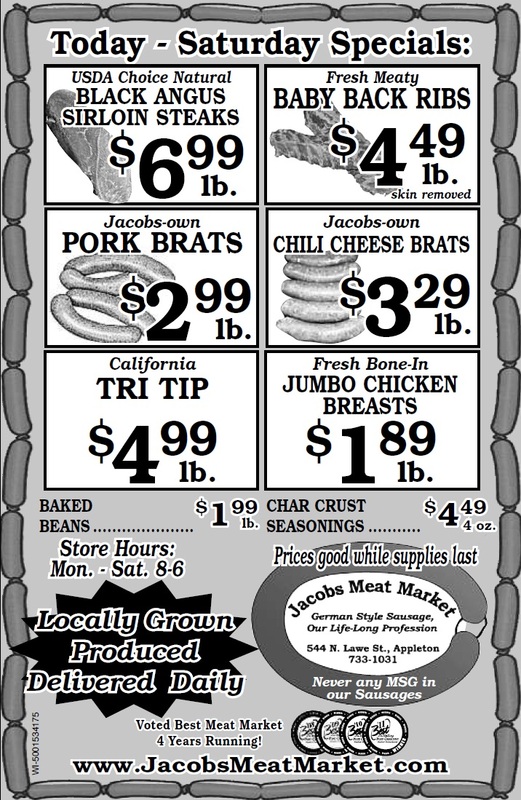 So, if you haven't tasted The Original Pork Bratwurst from our store, this week is the time! Taste what you've been missing!